How much of your laptop or PC's total running time is dedicated to downloading movies and TV series on Torrent? And I don't want to be righteous here but is it legal? In the age of mobile apps, which are taking most of our smartphones' memories than photos and your SMS conversations combined, it wouldn't be too hard to imagine catching up with your favorite local and foreign TV series while coming home from work. Or when lining up to watch movies in cinemas are becoming too tiresome, why not watch it on your mobile phone instead? And you can do this with or without internet connection. 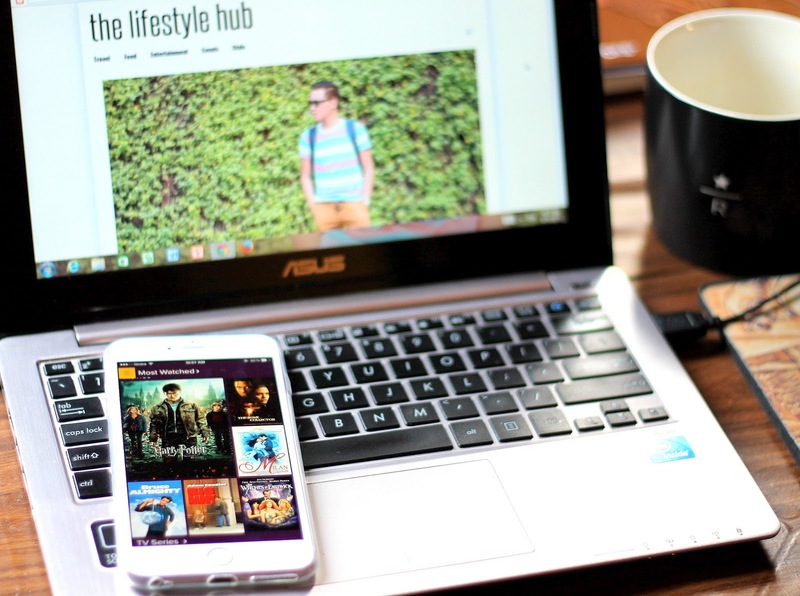 If Spotify is for music, it's also high time for you to get HOOQ. 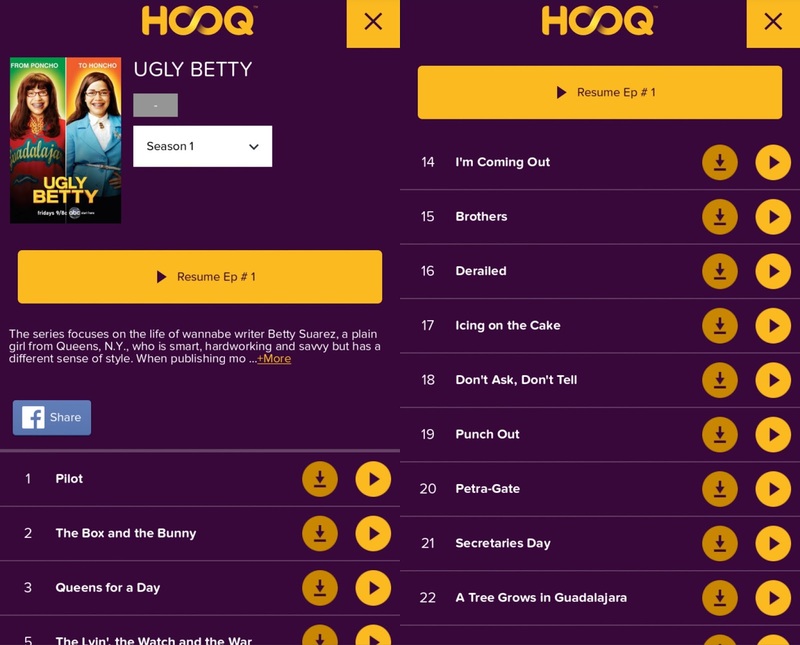 HOOQ is a video on demand (VOD) streaming service which does not require you to be connected to the internet each time you want to watch TV series and movies. In partnership with Globe Telecom, you have unlimited access to more than 10,000 titles for only PHP199 a month. I repeat, PHP199 a month only which is cheaper than one movie house ticket. Of course you have to bring a friend to the cinema because you don't want to watch alone and you have to buy soda and popcorn which will add up to PhP800. That's already equivalent to 4 months of unlimited access to HOOQ! You can watch via streaming which did not buffer during my first week with the app. You can also download the movie within the app so you can watch it even while offline. So where is the righteous part? How is this different with Torrent when you can download it anyway? 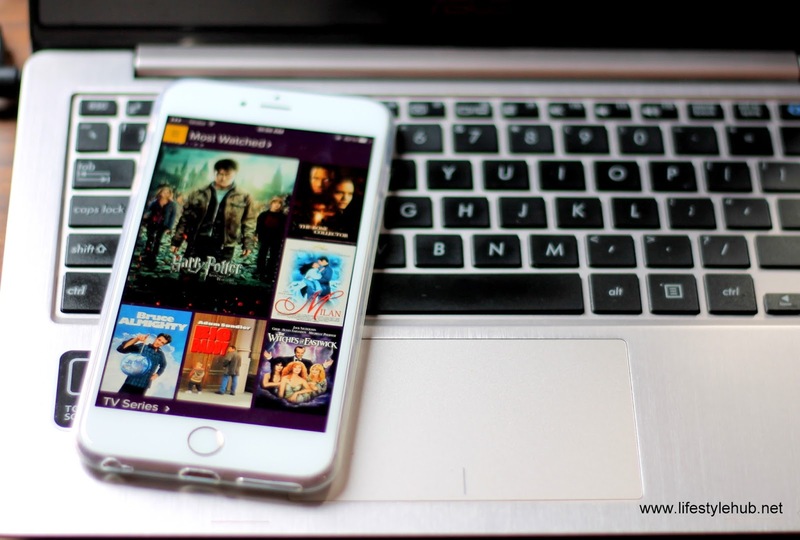 You can also access the movie you've downloaded from within the app. Which means you can't reproduce it. HOOQ is now available to almost all Globe subscribers: Postpaid, prepaid, Tattoo mobile and Tattoo Home broadband users. To register, you can text the keyword of your desired HOOQ promo to 8888 for free. You can get a list by texting HOOQ LIST to 8888 for free. 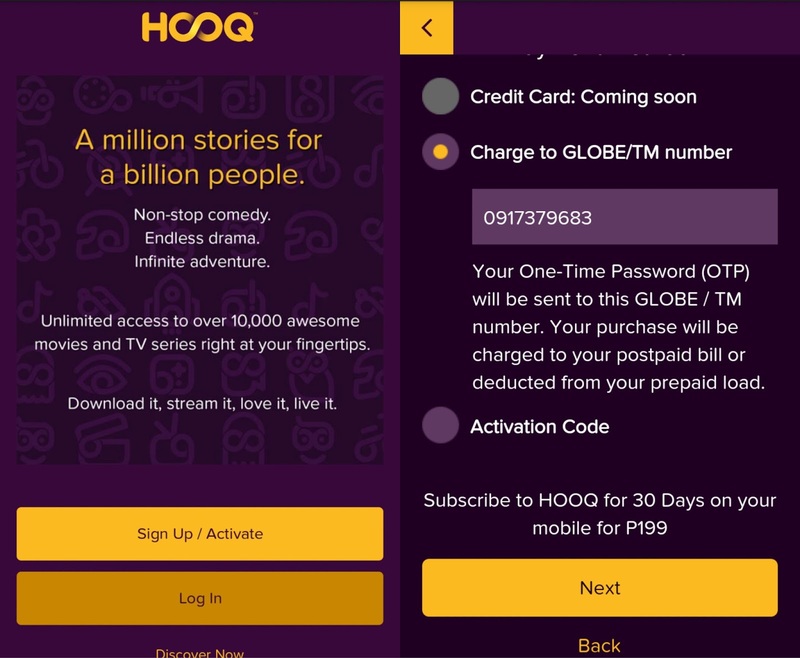 You can also check out more details about Globe HOOQ offer here - HOOF Frequently Asked Questions. What are movies and series I'm enjoying now? I re-visited the first season of my all-time favorite series Ugly Betty, watched Claudine Barreto in her prime with Piolo Pascual in the Star Cinema movie "Milan" (The catalog for local movies is kind of amazing too! ), and watched Brad Pitt's "Seven Years in Tibet". Let's cross fingers that Walking Dead and House of Cards will be also available soon!